This post lists some of the features I hope will make their way into improving the virtual world experience over what we already have in Second Life and OpenSim. The value of Second Life is that it provides a single unified space all in a single instance so that users and their avatars see only that single instance at any specific time and place they visit at a specific time. There are not a number of “instances” of a place spawned to cope with user load as in some games, “dungeon” style fight areas, or Sony Home. Maintaining this unified single instance space, with adjacency and appropriate visual and travel voids between such spaces is an important design advantage. Adopting a way to link newer and older virtual spaces to start to generate the “Metaverse” of connected virtual worlds should be an aim. Open and widely adopted standards need to be created to encourage long term population and use of such a Metaverse. Avatar identity and the creation of virtual personas is an important aspect of virtual worlds. These personas and identities can be closely associated with a person’s real life for educational and business uses or be completely fictional, but either way the virtual presence and the associated web and social media presence of the individual is important (See, e.g., Tate et al., 2014). Maintenance of avatar or “usernames” across into a new virtual world ought to be possible to maintain the continuity of presence and build on the current community already created in Second Life and elsewhere. The facilities to create realistic looking terrains, flora and water features need to be radically improved. 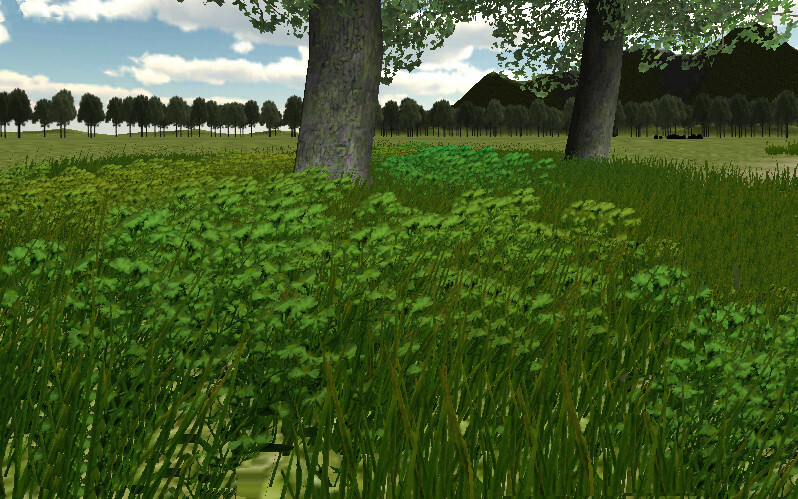 The widespread use of “prims” to create trees, plants, grasses and fields of grass and wildflowers that sway in the breeze is really poor in the current Second Life. Water should not be limited to a uniform sea level, so that lakes and ponds can be created. Deep undersea worlds should extend to realistic depths. Caves and tunnels ought to be allowed if possible. The Unity3D Terrain Editor allows the addition of “layers” to the basic terrain features and the “painting” on of additional flora, water, rocks and feature layers could point a way to go and be easily extendable. This mechanism can also allow for varying levels of client side rendering and optimisations (or simplifications) to accommodate a very wide range of current and future hardware and graphics processing facilities. Think of it as a big move… to a new country perhaps… new vistas, new facilities, new culture. You can’t take everything. But there are some things you just must have in the new place. 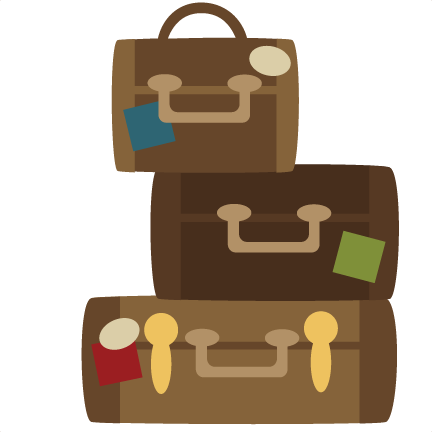 You have a trunk and packing cases… they are “intelligent” and can advise what will be useful in the new place, and what will arrive there just as an “ornament” to remind you of your previous life (or lives). Mementos are valuable. Travel is fun, but the places you visit are different. Not all the home comforts are there. But different and novel experiences can be had. You can even go back in time and visit those historical sites you heard about in the news reels, or remember from your previous life (or lives). Pack your suitcase carefully, as not all your clothing, attachments and equipment will work in the foreign country, and the regulations or limitations may kick in. Luckily your suitcase is also “intelligent” and can advise you on items you pack for specific destinations. Have a great time, but “haste ye back”. The strength of Second Life is its variety of content and creative materials. Tens of thousands of regions and petabytes of user generated is already available in Second Life, and indeed to a growing level in OpenSim too. This makes the “Metaverse” what it is today. A way to capitalise on that content and allow for some appropriate parts of it to be utilised should be part of the architecture and design. This is also true moving forward. A big issue for any virtual world is reaching a critical mass of users and people in world and visiting locations. Sparsely populated regions can be boring, and lack of interaction with others is a main cause that people do not return to areas in Second life and OpenSim. Any new virtual world needs to gain this critical mass somehow. Drawing on the existing user base of Second Life and OpenSim would be smart. We are fortunate in having a flexible license (LGPL) viewer base today thanks to Linden Labs and the open source contributors working on third party variants and extensions. A modern viewer could perhaps be more modular with as small a core as possible, but having a key list of add-ins available. A modern viewer would ideally be a base for traversing and viewing multiple and quite different virtual environments with an attempt to support movement between them while maintaining or correlating avatar identity across virtual worlds and social platforms. Think of supporting movement to and fro across a Metaverse of multiple technology and newly emerging virtual worlds and visualisation or interactivity mechanisms with quite different levels of capability and facility… but having a lot in common in terms of handling 3D models, worlds and terrain, and some aspects of the avatar appearance, but certainly their common identity. This entry was posted in OpenVCE, Second Life, Virtual World and tagged OpenSim, Second Life, Virtual World. Bookmark the permalink. Looked at the blog page, most is right. But missing one important thing and is annoyingly wrong in SL/OS. Scaled building and first person look and optional 3rd person. The camera position in SL/OS is very annoying. Yes you can change it. But the whole world is not built on that. So not working very good.